Humorist Notaro is the voice of the everywoman: she lives in the suburbs and has fairly familiar complaints, all of which she documents in this follow-up to her bestseller, I Love Everybody (And Other Atrocious Lies). 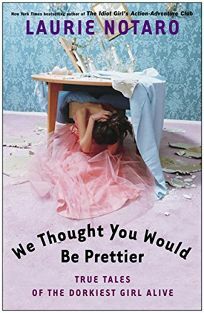 Like a funny, if sometimes tedious, friend ranting about a bad day, Notaro chronicles her misadventures with New York cabdrivers, her addiction to eBay, her hassles with spam and her run-in with lewd teenage boys at the YMCA, all with a sharp, suburban wit. Her observations can be spot on, as when she observes, ""mummies have been found in both China and Mexico that have had more complex expressions on their faces than the empty facial canvas of the minimum-wage worker in the middle of a shift."" Unfortunately, the essays in this collection jump from one comedic stereotype to another. Tales of bad drivers, crazy family members and annoyances in airports have been told so many times that they feel somewhat stale. It also doesn't help that many of the essays reintroduce the same characters and incidents, which is fine for readers who want to dip in for an essay or two but aggravating for anyone reading the book from cover to cover. There are quite a few laughs to be had here, but the collection is best imbibed in small doses, as the anger that fuels most of Notaro's wit can be wearying.